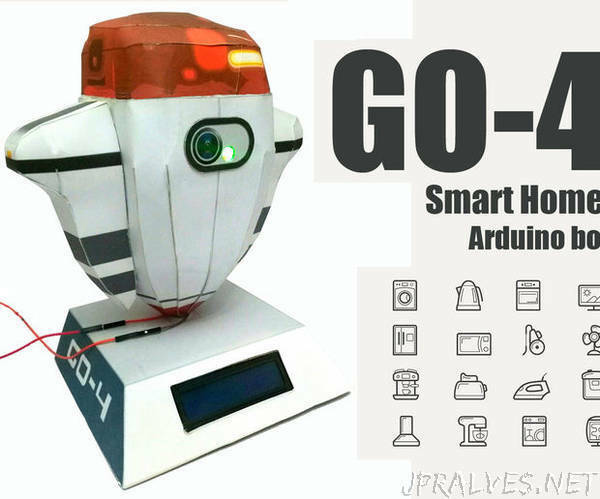 “In this project I will show you how to build a Smart Home Bot using the IOT technology to control your home appliances remotely through the Internet. The Internet of Things (IoT) is a system of interrelated computing devices, mechanical and digital machines, objects, people that are provided with unique identifiers and the ability to transfer data over a network without requiring human-to-human or human-to-computer interaction. A thing, in the Internet of Things, can be a person with a heart monitor implant, an Irrigation systems in a farm with a biochip transponder, a vehicle that has built-in sensors to alert the driver when tire pressure is low or any other natural or man-made object that can be assigned an IP address and provided with the ability to transfer data over a network. So lets say that the IOT is a huge system over the internet that embraces every single machine using a unique ID calls IP address. How can I become a part of this world using my Arduino board?